When you rent out PWC for a living, you’re going to see some sights. Most of the time you’re going to be working with people who have little to no experience, so a little bit of patience goes a long ways. 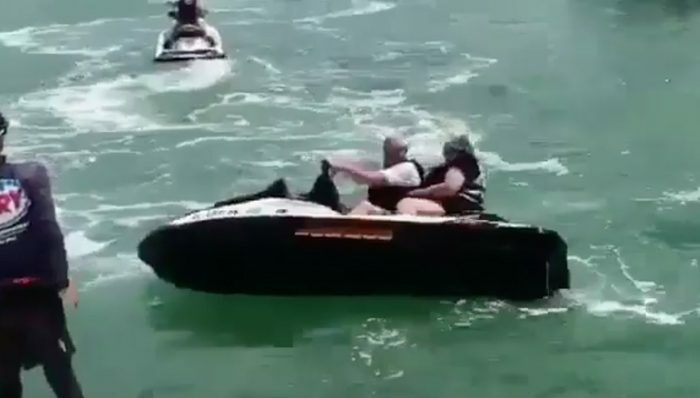 This guy looked like he would have preferred not to jump in after them, but he quickly realized they didn’t have a chance in the world of righting the PWC on their own.